The CNY RPDB secured a NYS EPF grant of $400,000 from the NYS Office of Parks, Recreation and Historic Preservation to the Howland Stone Store Museum that will be used for the stabilization and rehabilitation of Opendore, the Isabel Howland House. The c. 1837–1911 structure in the historic Hamlet of Sherwood In Cayuga County will be used as a museum and public meeting space. Opendore was the home of Isabel Howland and the Howland family and was the site of several important public rallies promoting women's rights and other social justice causes. It is located in the National Register-listed Sherwood Equal Rights Historic District in Sherwood on Route 34B, fourteen miles south of Auburn, New York. Sherwood—a largely intact 19th century rural New York hamlet on the edge of the Erie Canalway National Heritage Corridor—is significant for its involvement in the women’s rights and education rights movements of the early 20th century. The award of this grant will help link the historic Hamlet of Sherwood with the congressionally-supported Votes for Women History Trail, the Freedom Trail, and the Central New York Region. The CNY RPDB previously secured a National Trust for Historic Preservation grant of $5,000 to support this project. The CNY RPDB assisted the Town of Dewitt to complete the installation of a 51 kW solar photovoltaic (PV) installation on the roof of its town hall in November. The CNY RPDB provided a grant of $30,000 through the agency’s US EPA-funded Central New York Climate Change Innovation Program. The project also received funds through the Dormitory Authority of the State of New York (DASNY) and the New York State Energy Research and Development Authority (NYSERDA). CNY RPDB staff also provided technical assistance and participated in the review and selection of a qualified contractor for the installation. The Town’s solar PV project, which is the largest municipally-owned system in Onondaga County, will produce approximately 55,000 kWh per year, equivalent to about 12% of the building’s electricity consumption. The project will offset nearly 38 metric tons of carbon dioxide, equivalent to the electricity use of 4.7 homes per year. The project is an important component of the Town’s overall Climate Action Plan, which the CNY RPDB is currently helping the town to prepare. In October 2011 the CNY RPDB completed the Oneida Lake Watershed Ecosystem Status Report undertaken by contract with the NYS Department of State with funding provided by Senator Joseph Aubertine. The report, written as a follow-up to the 2004 Management Strategy for Oneida Lake and its Watershed, summarizes current conditions and historical trends for ten parameters throughout the lake and its five-county watershed. It is designed to inform and guide appropriate resource management decisions at the state and local levels, and provide information of interest to lake users and residents. 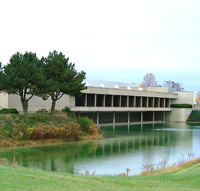 The Cortland County Industrial Development Agency successfully completed work on the Finger Lakes East Business Park project in September 2011. This is the first publically sponsored business park to be completed in Cortland County. The project involved the acquisition and development of 150 acres of land along Route 13 South in the Town of Cortlandville along with the construction of a public access road, public sanitary and water service, a stormwater management system, and the provision of electric, gas, and fiber optic telecommunication service throughout the park. Funding for the project was secured through a combination of federal, state, and local funding. The CNY RPDB was retained by the CCIDA to serve as the project manager for this development. 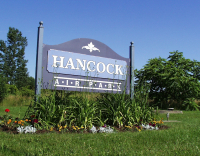 The Hancock Field Development Corporation, working in cooperation with CenterState CEO, has completed work on another major infrastructure improvement project at Hancock Airpark in the Onondaga County Town of Cicero. Work completed during phase three and four of this redevelopment project included the reconstruction of Stewart Drive and the provision of new sanitary, water, and stormwater facilities. Funding for this $2.2 million project included a $1.5 million grant from the federal Economic Development Adminstration that was secured and managed by the CNY RPDB. Onondaga County has established the Energy Efficiency Revolving Loan Fund (EERLF) to provide low-interest financing to assist small businesses in Onondaga County implement improvements to the energy performance of their facilities and value added processes. The EERLF is capitalized with $450,000 through the federal DOE ARRA Energy Efficiency and Conservation Block Grant Program. Onondaga County has contracted with the CNY RPDB to administer this program. Loans may be used only by eligible businesses to finance energy efficiency projects within non-residential facilities owned and operated by the business. Loans may be used to fund projects involving improvement of existing facilities or purchase of equipment to implement energy efficiency improvements. Loans are secured by appropriate collateral and the personal guarantees of the owners and/or principals. EERLF loan amounts can range up to $100,000, but can be no more than 50% of the total project cost. A 10% equity investment is required. CNY RPDB staff worked with the US Green Building Council New York Upstate Chapter, and the Syracuse Center of Excellence to develop and host the first CNY GREENBUILT: Sustainable Building Showcase Tour. Building on the theme of the US Green Building Council’s annual Greenbuild International Conference & Expo, the event highlighted buildings that have attained or are in the process of obtaining LEED Certification within Central New York. More than 25 people participated in a tour of Syracuse University’s Carmelo K. Anthony Basketball Center, SUNY ESF’s newest dormitory Centennial Hall, and King + King Architects’ headquarters. At each stop, design and construction professionals gave presentations concerning project-specific elements employed in the construction or renovation of the facility, and followed with a guided tour. CNY RPDB staff partnered with the Cazenovia Area Community Development Association (CACDA) to launch the Cazenovia Area Energy Challenge as part of the New York State Energy Research and Development Authority (NYSERDA) Energy $mart Communities program. The Challenge was a pilot program to encourage households within the Village of Cazenovia and the Towns of Cazenovia, Fenner, and Nelson to adopt energy conservation and efficiency measures in their homes. Over 20 households signed up to participate in what was billed as the “Biggest Loser Competition.” By tracking energy usage over a six-month period, the household that achieved the highest percentage reduction received up to $1,100 toward the purchase of an Energy Star appliance from Buyea’s True Value, a local hardware store. The competition ran from January to June of 2011. An award ceremony was held at Buyea’s True Value in Cazenovia for the winner. Approximately 700 Central New Yorkers attended the Syracuse Metropolitan Transportation Council’s (SMTC) The I-81 Challenge public workshops at the Oncenter in May 2011. Attendees learned about I-81, its condition, and how it’s being used today. Citizens also took the opportunity to give extensive and meaningful input by drawing, diagramming, writing, and discussing their ideas about the highway’s future. The SMTC and the New York State Department of Transportation (NYSDOT) were charged with categorizing all the information collected and developed a summary report that included a broad set of options for further investigation and a set of criteria for evaluating them. The next steps for the project include a spring 2012 public meeting to present possible future strategies to the public prior to their detailed analysis. For further information on the project, visit The I-81 Challenge Website. The CNY RPDB assisted St. Joseph's Hospital Health Center to receive a $712,500 award from New York State Environmental Facilities Corporation through the Green Infrastructure Grant Program in April. GIGP funds will support the construction of a 39,500 sq. ft. green roof on the newly expanded hospital in Syracuse. The green roof will remove approximately 550,514 gallons of stormwater run-off on an annual basis. Estimated total project cost for the green roof is $1,266,250. The CNY RPDB worked closely with the Madison County Water Quality Coordinating Committee to complete the Madison County Water Quality Strategy. This project involved collaborating with federal, state, county, and local organizations and compiling information on the environmental setting, issues of concern, water resources goals, and detailed GIS maps. The document received full Water Quality Coordinating Committee endorsement in January 2011 and was then distributed to municipal representatives and Coordinating Committee members.